It’s very easy to visit a poor mans hut or home and eat but it’s very difficult to go on fast for the benefit of others which Anna is doing. BJP leaders wanted the discussion to take place under Rule 184, which entails voting. But congress said no to the demand of BJP. Congress said that the resolution will be discussed under Rule 342 under which if a consensus is reached and all the MPs agree than only voting can take place. The debate will start at 11 AM. Under Rule 193 they will only discuss the bill and there will no voting. What is the use of Discussion last 42 years we are doing that? Lok Sabha will discuss following 4 bills. 4. Lokpal Bill made by Jayaprakash Narayan's Lok Satta party. Finance Minister Pranab Mukherjee will explain about the entire issue and the Government's strategy after which Leader of Opposition Sushma Swaraj will speak. After discussions with Team Anna BJP said they will support Janlokpal Bill with few amendments in that bill. Chief Minister Tarun Gogoi on Friday said that the chief minister would be brought under the ambit of the Lokayukta Bill in Assam. Anna Hazare was not driven to such a pass by circumstances. He wanted to live no more because he was frustrated with life and wanted an answer to the purpose of human existence. The story goes that one day at the New Delhi Railway Station, he chanced upon a book on Swami Vivekananda. Drawn by Vivekananda's photograph, he is quoted as saying that he read the book and found his answer - that the motive of his life lay in service to his fellow humans. 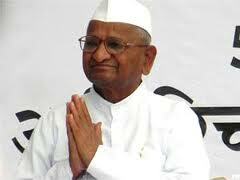 Today, Anna Hazare is the face of India's fight against corruption. He has taken that fight to the corridors of power and challenged the government at the highest level. People, the common man and well-known personalities alike, are supporting him in the hundreds swelling to the thousands. 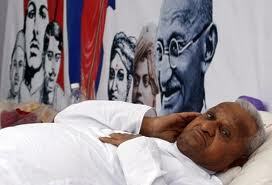 For Anna Hazare, it is another battle. And he has fought quite a few, Including some as a soldier for 15 years in Indian Army. He enlisted after the 1962 Indo-China war when the government exhorted young men to join the Army. In 1978, he took voluntary retirement from the 9th Maratha Battalion and returned home to Ralegaon Siddhi, a village in Maharashtra's drought-prone Ahmadnagar. He was 39 years old. Anna Hazare's fight against corruption began here. He fought first against corruption that was blocking growth in rural India. His organization - the Bhrashtachar Virodhi Jan Andolan (People's movement against Corruption). His tool of protest - hunger strikes. And his prime target - politicians. Maharashtra stalwarts like Sharad Pawar and Bal Thackeray have often called his style of agitation nothing short of "blackmail". i) For deposits with tenure of 91 days and above, interest is calculated on a quarterly basis. ii) In event the depositor chooses to reinvest the interest earned during the pervious quarter then the same is added to the Principal for calculation of interest. Interest on this amount is calculated every quarter. iii) For deposits with tenure of below 91 days, interest is calculated at Simple interest. Please note that the period of Fixed deposit is considered in number of days. iv) In event the depositor chooses to receive the periodic interest payments on a quarterly basis, interest is calculated and paid on quarterly rests. 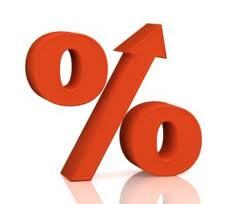 v) Premature withdrawal of deposit will attract 1% penalty (Fixed Deposits opened post August 1, 2008): 1% less than the card rate (applicable for deposits below Rs.15 lacs), as on the date of deposit, for the period for which the deposit has remained with the Bank or 1% less than the contracted rate which ever is lower. vi) Tax at Source is deducted as per the Income Tax regulations prevalent from time to time. Insurance provides compensation to a person for an anticipated loss to his life, business or an asset. period which may stretch to several years or whole life-time of the insured. Long-term insurance covers all life insurance policies. Insurance against risk to one's life is covered under ordinary life assurance. 1. Whole Life Assurance In whole life assurance, insurance company collects premium from the insured for whole life or till the time of his retirement and pays claim to the family of the insured only after his death. 2. Endowment Assurance In case of endowment assurance, the term of policy is defined for a specified period say 15, 20, 25 or 30 years. The insurance company pays the claim to the family of assured in an event of his death within the policy's term or in an event of the assured surviving the policy's term. 3. Assurances for Children i).Child's Deferred Assurance: Under this policy, claim by insurance company is paid on the option date which is calculated to coincide with the child's eighteenth or twenty first birthday. In case the parent survives till option date, policy may either be continued or payment may be claimed on the same date. However, if the parent dies before the option date, the policy remains continued until the option date without any need for payment of premiums. 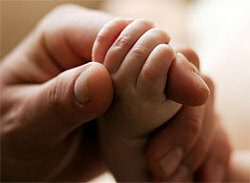 If the child dies before the option date, the parent receives back all premiums paid to the insurance company. ii). School fee policy: School fee policy can be availed by effecting an endowment policy, on the life of the parent with the sum assured, payable in instalments over the schooling period. 4. Term Assurance The basic feature of term assurance plans is that they provide death risk-cover. Term assurance policies are only for a limited time, claim for which is paid to the family of the assured only when he dies. In case the assured survives the term of policy, no claim is paid to the assured. 5. Annuities Annuities are just opposite to life insurance. A person entering into an annuity contract agrees to pay a specified sum of capital (lump sum or by instalments) to the insurer. The insurer in return promises to pay the insured a series of payments untill insured's death. Generally, life annuity is opted by a person having surplus wealth and wants to use this money after his retirement. Immediate Annuity: In an immediate annuity, the insured pays a lump sum amount (known as purchase price) and in return the insurer promises to pay him in instalments a specified sum on a monthly/quarterly/half-yearly/yearly basis. Deferred Annuity: A deferred anuuity can be purchased by paying a single premium or by way of instalments. The insured starts receiving annuity payment after a lapse of a selected period (also known as Deferment period). 6. Money Back Policy Money back policy is a policy opted by people who want periodical payments. A money back policy is generally issued for a particular period, and the sum assured is paid through periodical payments to the insured, spread over this time period. In case of death of the insured within the term of the policy, full sum assured along with bonus accruing on it is payable by hte insurance company to the nominee of the deceased. Also known as non-life insurance, general insurance is normally meant for a short-term period of twelve months or less. does not exceed five years. Fire Insurance Fire insurance provides protection against damage to property caused by accidents due to fire, lightening or explosion, whereby the explosion is caused by boilers not being used for industrial purposes. Fire insurance also includes damage caused due to other perils like strom tempest or flood; burst pipes; earthquake; aircraft; riot, civil commotion; malicious damage; explosion; impact. Marine Insurance Marine insurance basically covers three risk areas, namely, hull, cargo and freight. The risks which these areas are exposed to are collectively known as "Perils of the Sea". These perils include theft, fire, collision etc. Marine Cargo: Marine cargo policy provides protection to the goods loaded on a ship against all perils between the departure and arrival warehouse. Therefore, marine cargo covers carriage of goods by sea as well as transportation of goods by land. Marine Hull: Marine hull policy provides protection against damage to ship caused due to the perils of the sea. Marine hull policy covers three-fourth of the liability of the hull owner (shipowner) against loss due to collisions at sea. The remaining 1/4th of the liability is looked after by associations formed by shipowners for the purpose (P and I clubs). Miscellaneous As per the Insurance Act, all types of general insurance other than fire and marine insurance are covered under miscellaneous insurance. Some of the examples of general insurance are motor insurance, theft insurance, health insurance, personal accident insurance, money insurance, engineering insurance etc. Insurance is a national matter, in which life and general insurance is yet a booming sector with huge possibilities for different global companies, as life insurance premiums account to 2.5% and general insurance premiums account to 0.65% of India's GDP. The Indian Insurance sector has gone through several phases and changes, especially after 1999, when the Govt. of India opened up the insurance sector for private companies to solicit insurance, allowing FDI up to 26%. 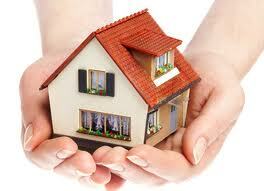 Since then, the Insurance sector in India is considered as a flourishing market amongst global insurance companies. However, the largest life insurance company in India is still owned by the government. The history of Insurance in India dates back to 1818, when Oriental Life Insurance Company was established by Europeans in Kolkata to cater to their requirements. Nevertheless, there was discrimination among the life of foreigners and Indians, as higher premiums were charged from the latter. In 1870, Indians took a sigh of relief when Bombay Mutual Life Assurance Society, the first Indian insurance company covered Indian lives at normal rates. Onset of the 20th century brought a drastic change in the Insurance sector. GIC had four subsidary companies, namely ( with effect from Dec'2000, these subsidaries have been de-linked from the parent company and made as independent insurance companies. United India Insurance Company Limited. Allied World Assurance Co Holdings, AG.